Margaret K. McElderry Books, 9780689849275, 272pp. The U.S. is at war with Germany. Fourteen-year-old Jill Winter's mother is traveling to Newfoundland and must pass through the treacherous North Atlantic, where German submarines -- U-boats -- stalk like wolves. Jill's father, a famous pop singer, is on tour, so Jill is sent to Winter Haven, Maine, to stay with Nana. Quarry, a local boy, says that "gossip ain't never been so good," and Jill soon discovers he's right -- Winter Haven is full of secrets and rumors. It seems everyone has something to hide -- even Nana! Jill doesn't know whom to trust, and she's worried for her mother's safety. And things get even worse when she finds a wounded carrier pigeon with a coded message attached to its leg. Jill is determined to get to the bottom of all these mysteries, but when she uncovers the biggest secret of all, she finds herself in grave danger -- and must run for her life! 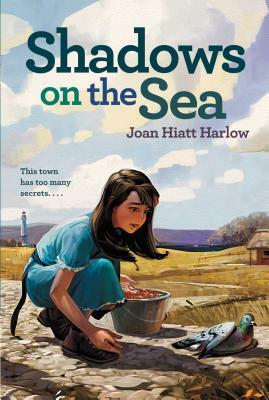 Joan Hiatt Harlow is the author of several popular historical novels including Secret of the Night Ponies, Shadows on the Sea, Midnight Rider, Star in the Storm, Joshua’s Song, Thunder from the Sea, and Breaker Boy. Ms. Harlow lives in Venice, Florida. For more information, visit her at JoanHiattHarlow.com. "An enjoyable slice-of-life with an overlay of mystery." "Harlow does a good job of combining the war drama with family secrets and vicious prejudice among the local kids. In an afterword she talks about how much of the story of the submarine incursions is true, and readers will find the history as exciting as the fiction." "[The novel] moves along at an engaging pace, and the author weaves in snippets about World War II and details of teen life during the 1940s."